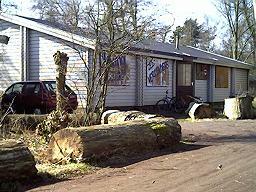 There are two highly recommendable campsites not far away from Amsterdam. Both are suitable for individuals and for groups. You will need full camping gear. Both campsites can be reached by car, there is a parking site. Situated 25 km west of Amsterdam, between Haarlem and Zandvoort. The bus number 80 leaves twice an hour (during office hours 4 times) from bus station Marnixstraat in Amsterdam. Exit at Bentveld (ask the driver) and then it is about 1 km walk. It is also possible to get there by bicycle. It is a little over an hours ride from Amsterdam. Open from 1 April (or Easter if this comes first) to 31 October. It is a big (18 ha), forested and somewhat hilly place, but surrounded by private property on all sides. There are approximately 20 smaller camp fields, all have a fire place. There is one small toilet facility with hot showers, but water taps all over the place. The sea (Zandvoort) is about 5 km away. Not far from the campsite runs the LAW Long Distance Hiking Route from Normandy to Poland. Someone emailed me: "Hikers on that route are very warmly welcomed by the warden. You will be invited to change route experiences; the shower will be switched on. The charge is 5 guilders (free shower). Very recommendable indeed." When you stay on the campsite, keep food and leather shoes away from the hungry not-so-wild foxes! Situated 35 km east of Amsterdam, near Baarn. There are regular train connections directly to Baarn. From Baarn train station it is a pleasant 30 minutes walk to the campsite. Open from 1 February to 31 December. The place is in a forest, which stretches out for many kilometers, an ideal place for long hikes. Toilets, hot showers and some shelters. A nature swimming pool is nearby. There is a Scout shop, and the Scouts Museum. Indoor accommodation for 75 persons, with facilities for the disabled. Information below may be outdated. Check at the contact address. Recommended is to make your reservations well in advance! On the far west side of town, near the Sloterplas (a lake). The fast and frequent number 1 tram will bring you directly to the center of town. 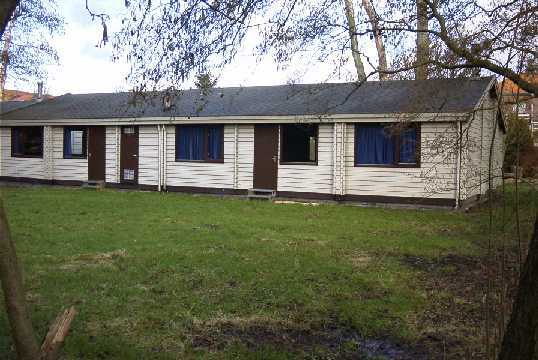 The house is located in a park, and has telephone and central heating. This building is located in a park and forest nearby. Playgrounds. Due to the wet peat soil area , camping is only limited possible. If wheather conditions are excellent, small groups can pitch their tents during a short stay. Hot showers and large kitchen available. Click here for the building layout. Home facilities: two dormitories, large kitchen with equipment, toilets and washroom, hot showers, large and comfortable day-room, 40 to 60 sleeping-places. Small groups (less then 20 ) can hire one dormitory of the building for reduced price. Address: Amsterdamseweg 378/380, 1182 HS Amstelveen. It is the 1st brick building in the park. Telephone: +31.20 6431079. Home facilities: two dormitories, small kitchen with equipment, toilets and washroom, 30 to 40 sleeping-places. Address: Amsterdamseweg 378/380, 1182 HS Amstelveen. It is the 2nd (wooden) building in the park. 7 km South of center of Amsterdam, in the neighbouring town of Amstelveen. Parking facilities and a good bus service to Amsterdam. Home facilities: two dormitories, equipped kitchen, toilets and washroom, large and comfortable day-room, 40 to 60 sleeping-places. 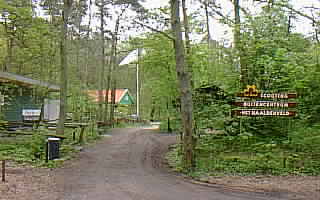 Outside facilities: Located in a park and forest nearby. Playgrounds. Costs: €3.75 per person per night, with a minimum of 15 persons. Non-Scouts are welcome too. Address: Amsterdamseweg 378/380, 1182 HS Amstelveen. The third building. Situated 8 km south-east of the center. In the Amsterdamse Bos (forest), near the hippodrome. 1 km to the bus stop. Well suited for disabled guests. Camping possible. Not on Saturdays. 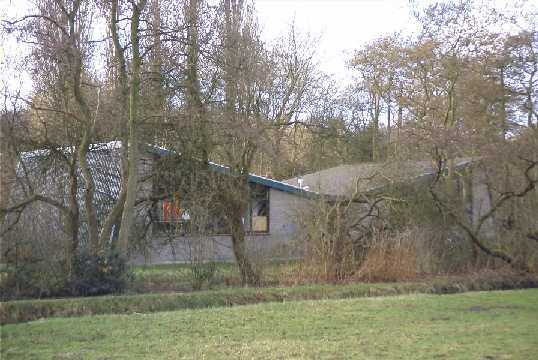 Situated 6 km south-west of the center, next to 'Het Nieuwe Meer'. The house can be reached by boat, own harbour. Amsterdamse Bos (forest) nearby. Area 2500 sq m.
The Web site of Scouting Erskine. If you want fun and don't mind the crowd, go to one of the Youth Camp sites! Located in the northern part of Amsterdam, in a park. From the northern harbour ferry landing, it is 2 km walking. It is just a bit too far out to walk, so take one of the many buses leaving from the Central Station. Ask for Camping Vliegenbos. It is a pleasant site, in a beautiful park. Just behind the entrance are the Wartburg Sea Scouts. Look over the fence to see them! The camping is for Youth only. A small group can also rent a cabin. Located in the far eastern side of Amsterdam, on an island. Recommended only if you have your own transport, because it is a bit way out. You might try bus number 37, leaving from the Amstel Station. This is also a Youth camp site. They also have cabins and a Sleep-In. An all-round camp site. Families, young people, seniors and also Scouting Groups are welcome here. 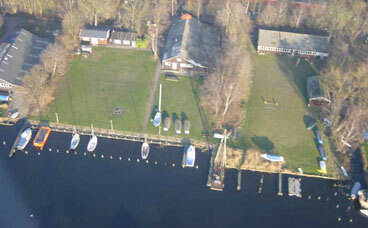 It is located on the far south-east side of Amsterdam, not far from the Gaasperplas (which is a lake). There is a frequent metro-connection with the center of Amsterdam (20 minutes ride), and then another 5 minutes on foot to the camp-site. Here is their Web page with all other information. A typical family camp site. Recommended if you want a quiet place. It is located on the far south side of Amsterdam, just south of the Amsterdamse bos. There is a busstop, with frequent connection to the center of Amsterdam. It is a nice bicycle ride to Amsterdam. Located near the Amsterdamse bos, which is actually a very big park. An ideal place for bicycle tours. There are some more campings around Amsterdam. 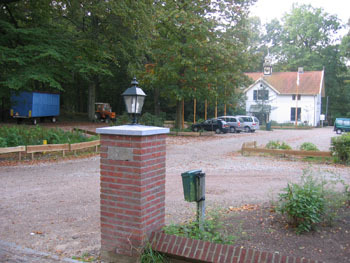 On the west side, halfway to Haarlem in Spaarnwoude (site of the Jamborette). And one north just before Broek in Waterland. No further data available about these places. For seascouts there is a Scoutingcampsite on an island, called Jisp. Lots of this stuff around here, also in the very center of Amsterdam. In the hall of the Central Station you might meet the runners who will offer you places to stay for the lowest prices possible. I am afraid they are not very much recommended, however. There are actually two Youth Hostels, I can highly recommend the one near the Vondelpark. The Vondelpark Youth Hostel is just outside the old part of Amsterdam, right next to the Vondelpark. Car park is very expensive! Use the excellent public transport, go by foot or rent a bicycle. Here are some hints and tips, which you might want to note. I can not take any responsibility about the correctness of this site, other that all changes that I receive will be admitted ASAP. Verify all data at the contact address! An alternative collection of accomodation sites is here. Or try this. Then, you might want to know what the weather is like here. Visit the Netherlands Tourist Office. You might find some additional information about the mentioned places to stay. Coordinates are given in decimal degrees format, WGS84. Between brackets the coordinates that are used by the Dutch topographic maps. All telephone numbers are national codes. (i.e. 020 is Amsterdam). From abroad, first enter the national entry number (i.e. 0031) and skip the leading 0. (i.e. 003120 for Amsterdam). When using Public Transport, buy your tickets in a (magazine) shop. Not in the car! Buy a 15 fields ticket, and stamp minimal 2 fields for a ride. The stamp will let you travel for a certain amount of time, within a certain zone. Tickets are checked very rarely. Ask for day-ticket bargains. The tourist office is called VVV. Many offices all over town, i.e. on the square near the Central Station. They can arrange a place to stay for you, but will charge quite a bit of money for that service. Sometimes they have a Youth Tourist Booklet for sale, with places to stay and other useful information. Visit the Amsterdam Scout Shop.